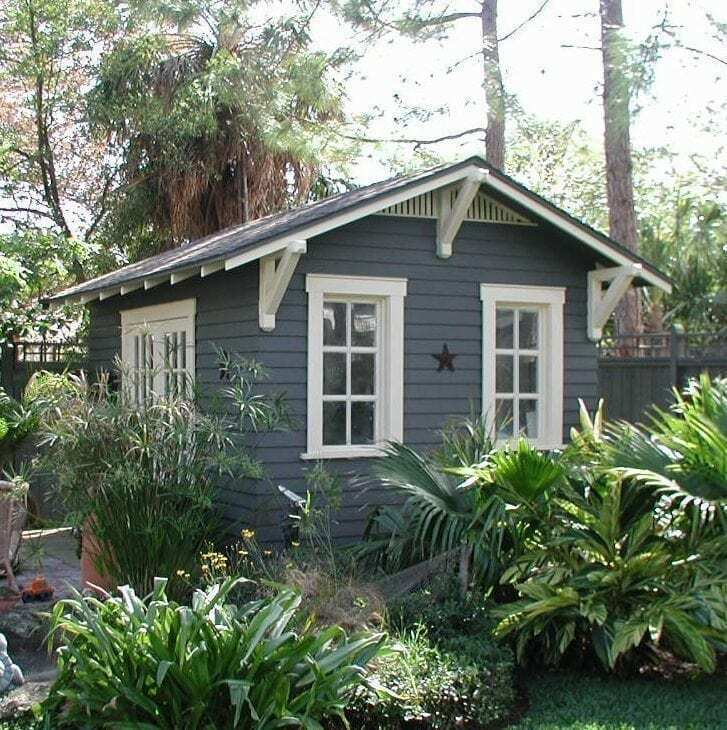 We often tout our sheds as attractive and comfortable home offices. Setting your office up in a shed rather than at the kitchen table or taking up a room in your house creates a private, professional atmosphere while keeping business and personal life separate. This creates numerous cost savings for small business owners and for long-distance workers. Along with this, working from home saves commuting time, gas expenses, and wear and tear on vehicles. This additional cost and energy savings was recently discussed in an article on the "Transportation Energy Intensity" of Buildings on the Green Building Advisor blog. The article author calculates the energy cost of operating a typical office building, then compares the energy use to that used to drive to and from the office, determining that it takes 30% more energy to commute! There is a lot of talk about “green building” in the media, generally accompanied by photos of ultra-modern, technology-laden new homes. However, the ability to design homes that are environmentally friendly and that take advantage of natural cooling abilities has already been incorporated into most historic Florida homes. Prior to the introduction of air conditioning, Florida builders used techniques that "green" designers are now advocating, such as deep covered porches and wide eaves, window awnings and shutters, and operable windows. While we Floridians may not be willing to turn off our air conditioners in August, these features do allow us to make the most of Florida's more temperate seasons while reducing our energy consumption. To take advantage of the natural good design of a historic home, open windows and doors, turn on ceiling fans and spend a quiet evening on your shaded front porch and have a "green" day.Image courtesy the Florida State Archives.